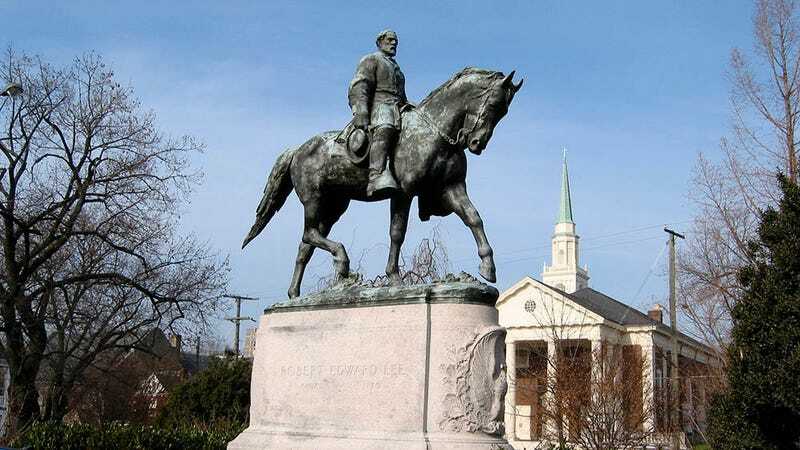 This Saturday, Virginia’s Emancipation Park (formerly Lee Park) is slated to be the meeting place of the Unite The Right rally, a much-publicized gathering of far-right personalities and their sycophants. With less than a week to go, Airbnb has taken active measures to delete the accounts of some members the company believes to be staying in Charlottesville for the rally—making lodging for planned attendees like members of the National Socialist Movement that much more difficult. The company suspects several listings in the area were booked with the intention of holding parties for neo-Nazi website The Daily Stormer. The Daily Stormer’s staff have publicly announced their intention to attend Unite The Right. Though Stormer founder Andrew Anglin is not slated to speak at the rally, Richard Spencer’s official Altright.com Discord server had him as a guest for a co-Q&A earlier today. Airbnb has previously overhauled its policies to combat discriminatory host behaviors, with limited success, and added a complaint system for neighbors of loud or unruly guest in May of last year. To the best of our knowledge, this marks the first time the hospitality platform has actively sought to intervene preemptively against guests rather than hosts, and this appears to be a very specific and unusual set of circumstances. We’ve reached out to two users who claim to have been banned due to their intent to attend Unite The Right and will update if we hear back. What’s not explicit in the statement is whether or not Airbnb will continue to ban users it believes to be renting rooms through its platform with the purpose of attending gatherings like Unite the Right, the white nationalist rally held in Charlottesville this weekend which left three dead and many more injured. We’ve reached out to Airbnb and will update if we hear back. Update 7/14/17 7:33pm ET: A spokesperson with Airbnb confirmed to Gizmodo that lodging booked for future gatherings in the vein of Unite the Right will also be subject to preemptive user bans.